Gulfish was established in Sausalito, Ca in 2009 by Jimmy Galle a son of Gulf Coast waters, a professional cook and a 2nd generation food professional with 40+ years in the “ biz". Starting with 1 used pickup truck and 1 Product, dayboat head on Gulf White Shrimp, we started spreading the word on Gulf Seafood kitchen door to kitchen door. The company literally was run out of the back of the truck in those first days. Today Gulfish offers a wide variety of the finest Gulf coast seafood for chefs of all cuisines. From that first day the goal has remained simple. We work to offer the finest seafood from the US waters of Texas, Louisiana, Mississippi, Alabama and Florida to the finest kitchens in the Bay area and beyond. You will find our “cooler gang” processing a variety of fresh fish and seafood daily at our San Francisco facility. From our coolers our knowledgeable drivers are delivering our pristine seafood to quality minded chefs across the Bay Area as well as top kitchens in cities from Las Vegas, Portland, Seattle, New Orleans, Miami, Washington DC, Chicago and New York City. At Gulfish we believe the future is bright for American chefs and American Seafood and we are here to be part of that future. At Gulfish we are not interested in being the biggest seafood company in town or the distributor that can bring you fish from around the world. We will leave that to other folks. 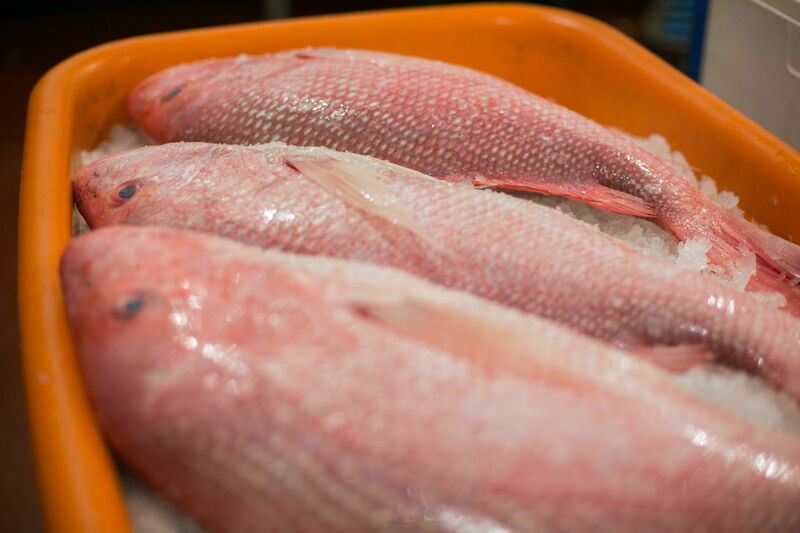 We do want to be known as ”the source” for the freshest and finest seafood from the abundant waters US Gulf of Mexico. We believe that small fishing operations, boats that “fish right” and adhere to the principles of sustainable fishing deserve our support. Their future and the future of dayboat fishing depends on it. For these reasons we work hard to connect and buy direct from these hard working fishermen who offer a level of quality that we believe large fishing fleets and imported fish can not match. So even though 96% of our bounty is caught in the US waters of Gulf of Mexico, on occasion you will see us offer some beautiful fish and seafood from the North Atlantic areas of Montauk or Cape Cod, Because we believe when you find a good fisherman, someone who is dedicated to fishing responsibly you have to support him. And at Gulfish that is what we work to do everyday.